Ottawa Fury FC defender Rafael Alves has been named North American Soccer League (NASL) Player of the Week after scoring the game-winning goal in his club’s shutout win over FC Edmonton on Sunday afternoon. With the game still scoreless, the Brazilian veteran headed home a corner kick deep into second-half stoppage time as league-leading Ottawa extended its unbeaten streak to 11 games and increased its lead in the Fall Season Standings to six points. In addition to finding the net, Alves played a key role in helping Fury FC post their seventh shutout in the last 11 games. The Praia Grande, Brazil, native has been at the forefront of Ottawa’s defensive success, starting in all 16 of the club’s games in 2015. Only nine NASL players have seen more field time than Alves this year. Paired with fellow center back Colin Falvey, Alves has helped the club post a league-high eight shutouts this year. 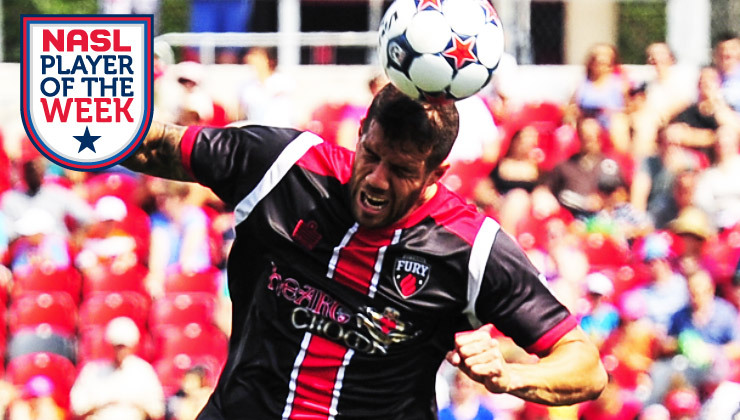 With the help of players like Alves, Fury FC hasn’t lost a league game since May 2. 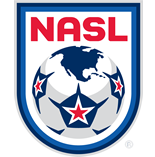 The club has only conceded five goals over the course of its current 11-game unbeaten streak, and the string of positive results has seen the club shoot up the NASL table. Ottawa leads the Fall Season Standings by six points after taking 16 of a possible 18 points from their first six matches. The Canadian side also leads the league’s Combined Standings with 27 points. Alves, who spent the first part of his career playing in Brazil, joined Ottawa Fury FC ahead of the 2015 season after spending the previous two years with the Fort Lauderdale Strikers. Last season, the 6-foot-3 defender helped the Strikers reach The Championship Final, where they would end up falling to the San Antonio Scorpions. Ottawa gets back on the field this Saturday, when they pay a visit to Carroll Stadium to take on Indy Eleven. Kickoff is set for 7:30 p.m. ET and the match can be seen live in Canada on Rogers TV and in the U.S. on ESPN3.